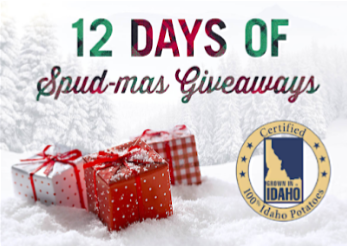 2018 Idaho® Potato 12 Days of Spud-Mas Giveaway – Win a $500 Visa gift card! Win $500 Visa gift and a 15 lb. bag of potatoes! ENTER SWEEPSTAKES HERE – Idaho Potatoes Sweepstakes page. ENTRY LIMIT – LIMIT ONE (1) ENTRY PER PERSON/E-MAIL ADDRESS PER CONTEST PERIOD. LIMIT FIVE (5) EXTRA ENTRIES FOR SHARING CONTEST LINK PER PERSON/E-MAIL ADDRESS PER CONTEST PERIOD. ELIGIBILITY – This giveaway is open to legal residents of the United States and the District of Columbia who were 21 years of age or older as of 12/03/2018. SWEEPSTAKES ENTRY PERIOD – The Promotion begins at 6:00 a.m. Eastern Time (“ET”) on December 3, 2018 and ends at 11:59 p.m. ET on December 14, 2018. PRIZES – A total of one (1) prize will be awarded each day: Day 1: Air Fryer and 1 15 lb bag of Idaho® potatoes – ARV: $100; Day 2: $50 VISA Gift Card and 1 15 lb bag of Idaho® potatoes – total ARV: $60; Day 3: Swag Bag and 1 15 lb bag of Idaho® potatoes –ARV: $60; Day 4: 15 lb bag of Idaho® potatoes – ARV: $10; Day 5: Air Fryer and 1 15 lb bag of Idaho® potatoes – ARV: $100; Day 6: $50 VISA Gift Card and 1 15 lb bag of Idaho® potatoes – total ARV: $60; Day 7: Swag Bag and 1 15 lb bag of Idaho® potatoes –ARV: $60; Day 8: 15 lb bag of Idaho® potatoes – ARV: $10; Day 9: $50 VISA Gift Card and 1 15 lb bag of Idaho® potatoes – ARV: $60; Day 10: Swag Bag and 1 15 lb bag of Idaho® potatoes – ARV: $60; Day 11: 15 lb bag of Idaho® potatoes – ARV: $10; Day 12: 15 lb bag of Idaho® potatoes – ARV: $10; Grand prize: $500 VISA Gift Card and 1 15 lb bag of Idaho® potatoes – ARV: $510. WINNER’S LIST – For a list of winners’ names, send a self-addressed stamped envelope after 1/11/2019 to: “2018 IDAHO® POTATO 12 DAYS OF SPUD-MAS GIVEAWAY” 829 De La Vina Street, Santa Barbara, CA 93101. Requests must be received by 2/15/19. 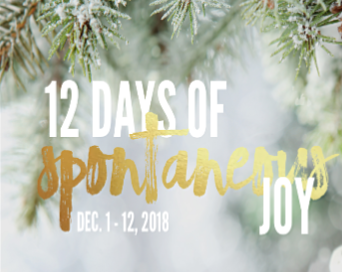 Flora’s 12 Days of Spontaneous JOY Sweepstakes – Win daily prizes! Win daily prizes (one winner per day) – 12 winners! 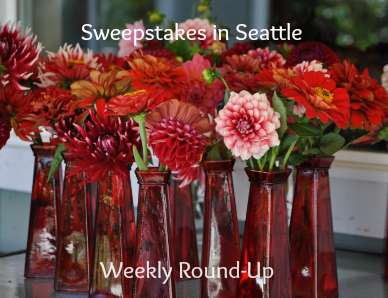 ENTER SWEEPSTAKES HERE – Flora Sweepstakes page. (“Promotion”) is only open to those who are, at the time of entry, a legal resident of one of the 50 states of the United States of America and District of Columbia, EXCLUDING THE STATES OF NEW YORK and FLORIDA; or any province of Canada EXCLUDING THE PROVINCE OF QUEBEC, and who are 18 years of age or older. SWEEPSTAKES ENTRY PERIOD – The Promotion begins on December 1, 2018 at 08:00:01 a.m. PT and ends on December 12, 2018 at 11:55:00 p.m. PT. PRIZES – Day 1 Prize: SodaStream FIZZI Starter Pack (up to US$105.00 value), three Flora Apple Cider Vinegar Wellness Drinks (17 oz. ), and three Flora Apple Cider Vinegar Wellness Shots (3.3 oz). Total Approximate Retail Value of the entire cumulative prize: US$164.94 (approximately CA$214.84). Day 2 Prize: Vitamix 5300 Blender (up to a US$359.95 value), two Flora Elderberry Crystals (125 g) and two Flora Acerola Powder (50 g). Total Approximate Retail Value of the entire cumulative prize: US$489.91 (approximately CA$638.12). Day 3 Prize: BOB 2016 Revolution Flex Jogging Stroller (up to a US$449.99 value) and three Floradix (17 oz.). Total Approximate Retail Value of the entire cumulative prize: US$589.46 (approximately CA$767.79). Day 4 Prize: Patagonia US$250 gift card and three Omega Sport+ 17 oz. Total Approximate Retail Value of the entire cumulative prize: US$365.47 (approximately CA$476.04). Day 5 Prize: Beats Studio3 Wireless Over‑Ear Headphones (up to a US$349.95 value) and three Salus Red Beet Crystals (7 oz.). Total Approximate Retail Value of the entire cumulative prize: US$430.92 (approximately CA$561.29). Day 6 Prize: SereneLife Inflatable Stand Up Paddle Board (up to a US374.97 value), two Flora Travel Care Probiotics (30 capsules), and two Flora Complete Care Probiotics (30 capsules). Total Approximate Retail Value of the entire cumulative prize: US$458.93 (approximately CA$597.77). Day 7 Prize: Lululemon US$250 gift card and three Flora Adults Probiotics (60 capsules). Total Approximate Retail Value of the entire cumulative prize: US$314.47 (approximately CA$409.61). Day 8 Prize: Whole Foods US$250 gift card and three Udo’s Oil 3•6•9 Blend (17 oz.). Total Approximate Retail Value of the entire cumulative prize: US$360.97 (approximately CA$470.18). Day 10 Prize: Amazon Echo Show (up to a US$129.99 value) , one Flora Organic Extra Virgin Olive Oil (8.5 oz. ), one Flora Organic Hydro-Therm Almond Oil (8.5 oz. ), one Flora Organic Hydro-Therm Pumpkin Oil (8.5 oz. ), one Flora Organic Hydro-Therm Sesame Oil (8.5 oz. ), one Flora Organic Hydro-Therm Sunflower Oil (8.5 oz. ), one Flora Organic Sacha Inchi Oil (8.5 oz.). Total Approximate Retail Value of the entire cumulative prize: US$256.93 (approximately CA$334.66). Day 11 Prize: Spafinder US$300 gift card and three Flor•Essence Liquid Tea Blend (17 oz.). Total Approximate Retail Value of the entire cumulative prize: US$415.47 (approximately CA$541.16). Day 12 Prize: US$1,000.00 credit to Flora’s website. Total Approximate Value: US$1,000.00 (approximately CA$1302.54). Spontaneous JOY, 805 E. Badger Road, Lynden, WA 98264. Winners may also be posted to the Flora page on Facebook and/or Instagram. 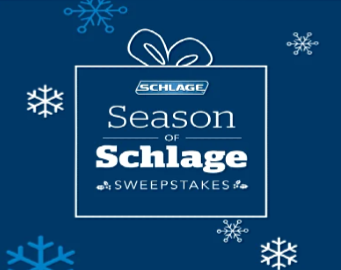 Schlage Season of Schlage Sweepstakes – Win a $2,000 Visa gift card! Win a $2,000 Visa gift card & more! ENTER SWEEPSTAKES HERE – Schlage Sweepstakes page. ENTRY LIMIT – You may enter only one (1) submission per day during the Promotion Period per person, household, or email address. ELIGIBILITY – This Promotion is open only to individuals who (a) are legal residents of the fifty (50) United States or the District of Columbia and (b) are eighteen (18) years of age or older at the time of entry. 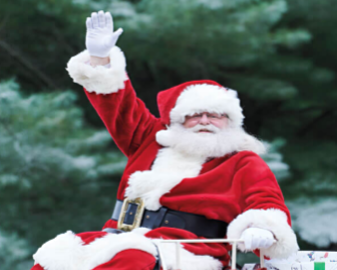 SWEEPSTAKES ENTRY PERIOD – Promotion begins on December 3, 2018 at 12:00:00PM Eastern Time (“ET”) and ends December 24, 2018 at 11:59:00PM ET. PRIZES – One prize winner will win a $2,000 Visa Giftcard + Connect Zigbee & Amazon Cloud Cam Bundle. WINNER’S LIST – You can obtain a list of winners and/or a copy of these Official Rules by e-mailing schlagelocks@allegion.com. Records may not be available beyond two (2) years following Entry Period. 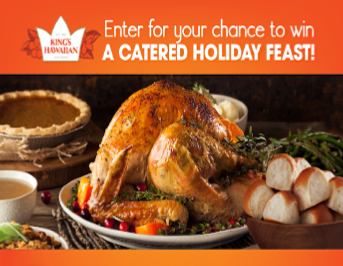 ION Television’s “Holiday Recipes” Sweepstakes – Win a $1,500 American Express gift card! Win a $1,500 American Express gift card! ENTER SWEEPSTAKES HERE – Ion Sweepstakes page. ENTRY LIMIT – Limit one registration per person – earn bonus entries by completing actions through the Gleam app. 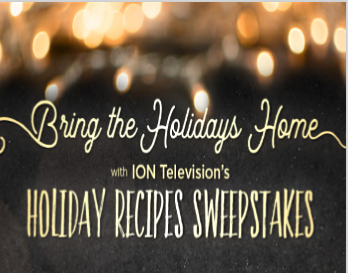 SWEEPSTAKES ENTRY PERIOD – ION Television’s “Holiday Recipes Sweepstakes” starts on December 3, 2018 at 10:00 a.m. Eastern Time (“ET”) and ends on December 25, 2018 at 11:59 p.m. ET. 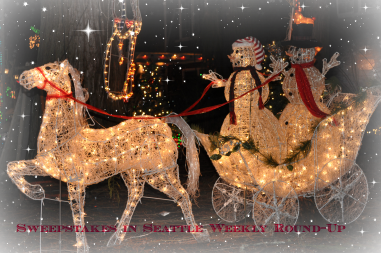 PRIZES – Prize Winner will receive one (1) $1,500 American Express Gift Card. Approximate Retail Value (“ARV”) of the Prize: $1,500.00. WINNER’S LIST – The name of all prizewinners will be available after January 8, 2018 at http://iontelevision.com/contest-winnersfor a period of at least thirty (30) days.